Do you have a more fixed or a more growth mindset? I love the idea of having a growth mindset. It ties in with everything I know about our amazing brains, particularly that they can continue to literally grow new brain cells all our lives. Dr. Carol Dweck has been working on a Growth vs. Fixed mindset concept with children since the 1980s, and now her research results are coming into the workplace. This has exciting implications for all of us, and for our children and grandchildren. 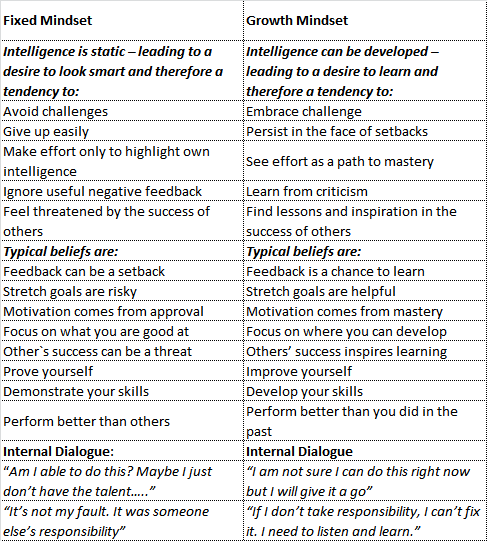 In a fixed mindset, people believe their basic qualities, like their intelligence or talent, are simply fixed traits. They tend to concentrate on displaying their intelligence or talent instead of developing them. In a growth mindset, people believe their most basic abilities can grow through dedication and hard work – intelligence and talent are just the starting point. They tend to concentrate on continuously growing and learning. I highly recommend Dr. Dweck’s 10 minute TED talk. If you enjoy listening to her talk and would like to receive a transcript of it, please email me and I will be happy to send it to you. 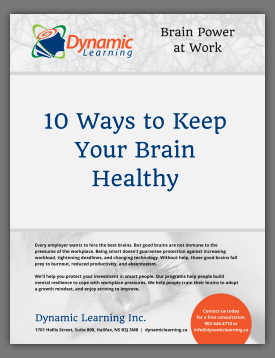 I am going to incorporate her ideas and recommendations from her January 2016 Harvard Business Review article “What Having a Growth Mindset Really Means” into the two courses I am teaching next week: Time & Priority Management and When Perfect Is Not Good Enough. I am also incorporating her ideas into my own life. I know I can improve my abilities to prioritize and work on the most important tasks first, as well as change my perfectionistic tendencies into striving for the very best I can do with the time and energy I have now. I am keeping a diary this summer to help me identify when I go off track in these goals, and to learn, really learn, from my mistakes.